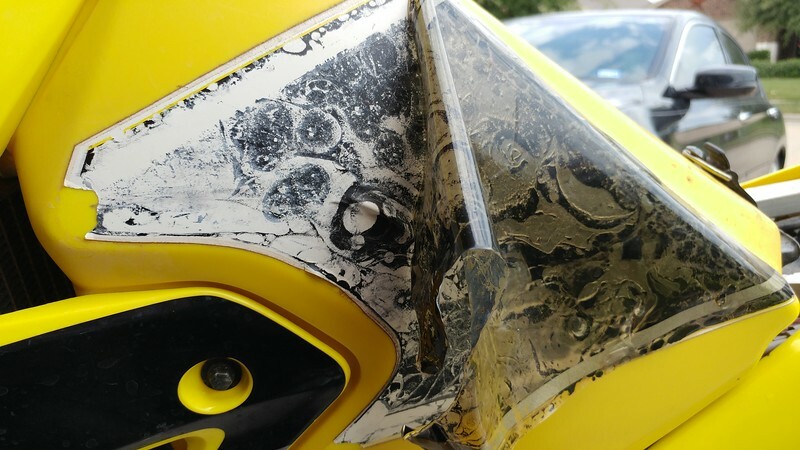 LeanAngle: DRZ Cleanup and shakedown ride. DRZ Cleanup and shakedown ride. 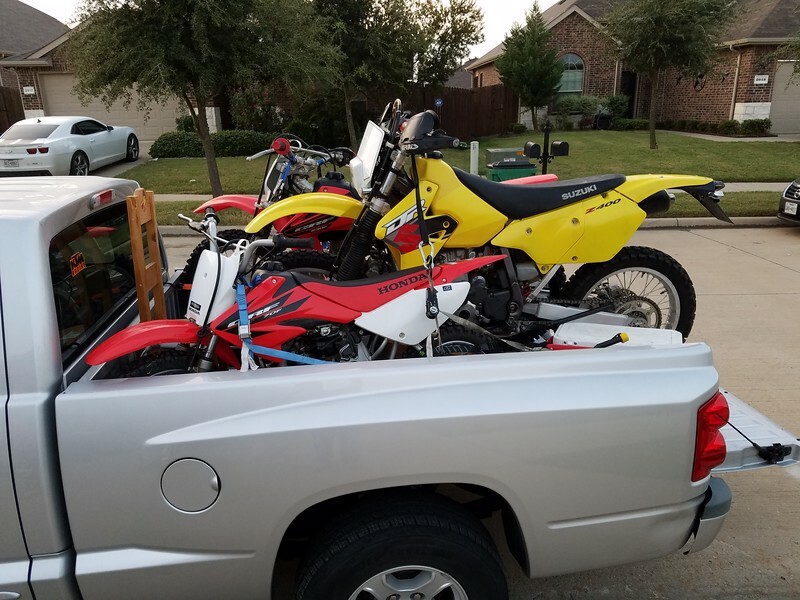 Got the bike home from Houston on Saturday evening and then went with wife and kiddo to dinner and bowling. Sunday was cleanup day. 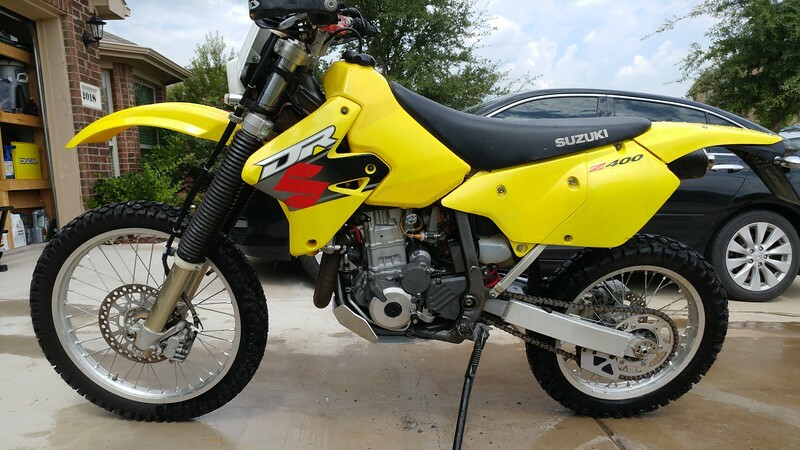 I pulled the DRZ out of the garage to inventory and address a few issues. It has a pretty cheap lighting kit installed to make it street legal. This will see an upgrade in the future as I figure out what I want to put on it. I don't want any of the alien look stuff that is out there on the market so I'll be doing some research on this. 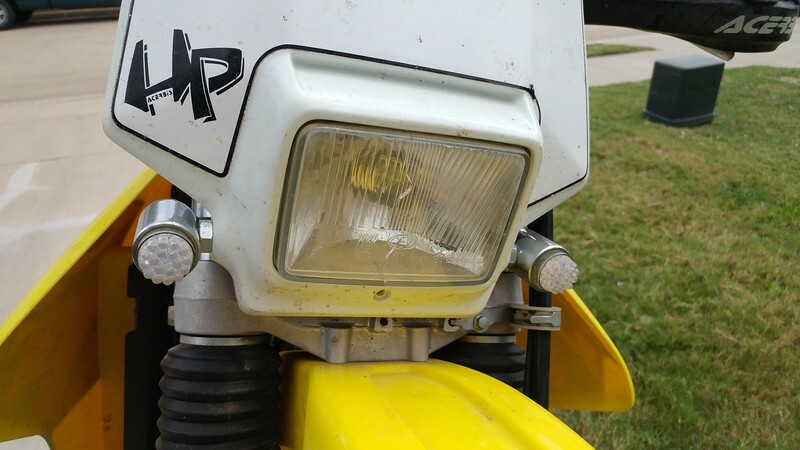 The aftermarket Acerbis headlight is street legal with hi/low functionality but is very dim. Also has a crack in it so that'll go. So will those hideous turn signals. The tail light is rather dim and the brake light only activates with the rear brake, so that will be remedied. Also, the chrome turn signals have got to be swapped out. Hahahaha, that mirror is absolutely useless and only good for passing an inspection. I have plans for a set of DoubleTake mirrors to go on there. 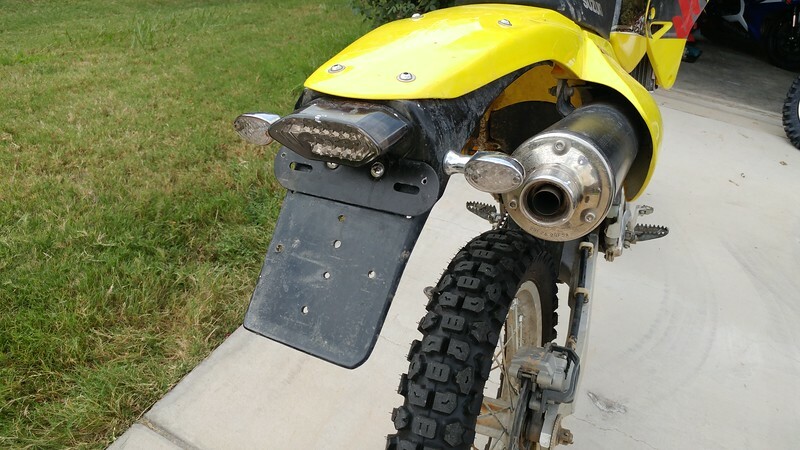 They are cool and mount with RAM mounts so you can use them on the road and when you hit the trails they swing down and out of the way. 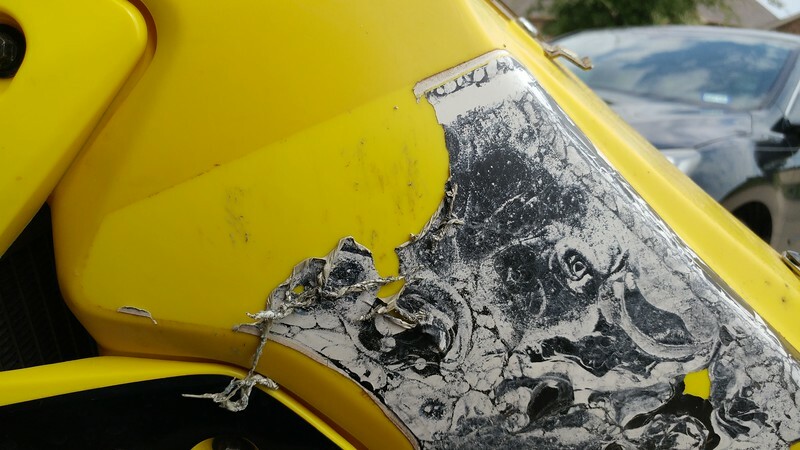 Yea, that's pretty nasty under there. 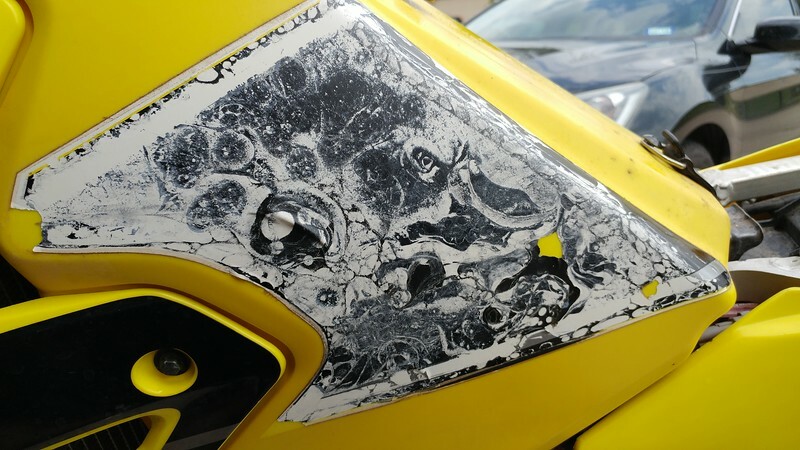 This stuff is usually adhered to the surface pretty well and will take about a gallon of goo-gone and some heavy elbow grease to remove. However, the gentle use of a heat gun can make this job much easier. 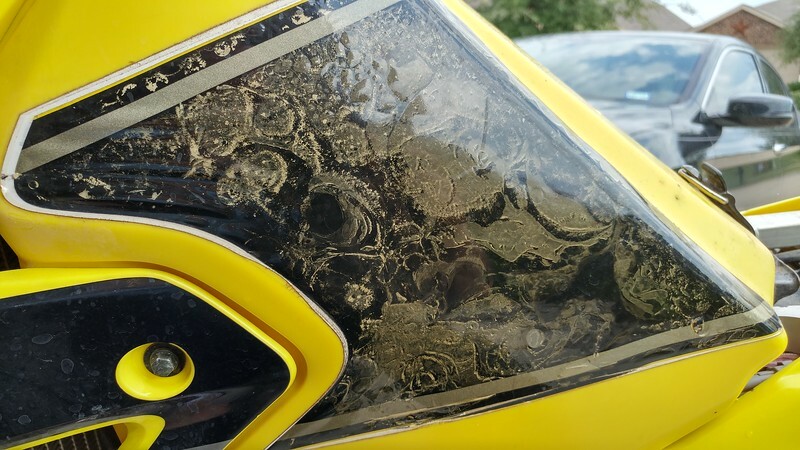 Set the heat gun on low and heat just till you start to see the sticker bubble a bit, then wipe with a shop paper towel and the sticker will mostly wipe away. The remaining glue left behind is easily cleaned up with a squirt of goo-gone and a paper towel. Afterwards you can see that there's clearly some discoloration after 16 years. The tank is being swapped anyway so no big deal, but still looks better than it did and it's now ready for new stickers if I choose to go that route. I'll make a decision on the fate of the other stickers after the tank swap. After some time spent with the power washer she is all cleaned up and is a good blank canvas for me to build my ADV bike off of. Monday came and MJ and Jakob had been begging to go riding. 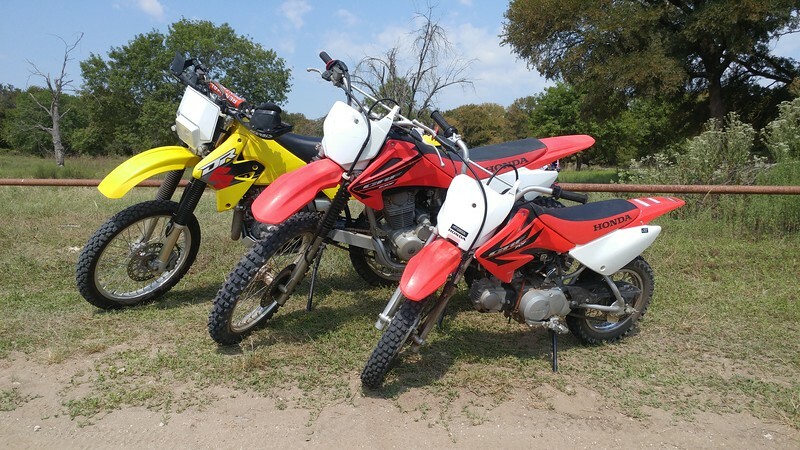 With the KTM still down, the DRZ meant we could all go riding together. Loading the truck with all three bikes and gear for all is now a challenge. I shall be tackling this challenge soon with either a hitch hauler or a trailer or both somehow. 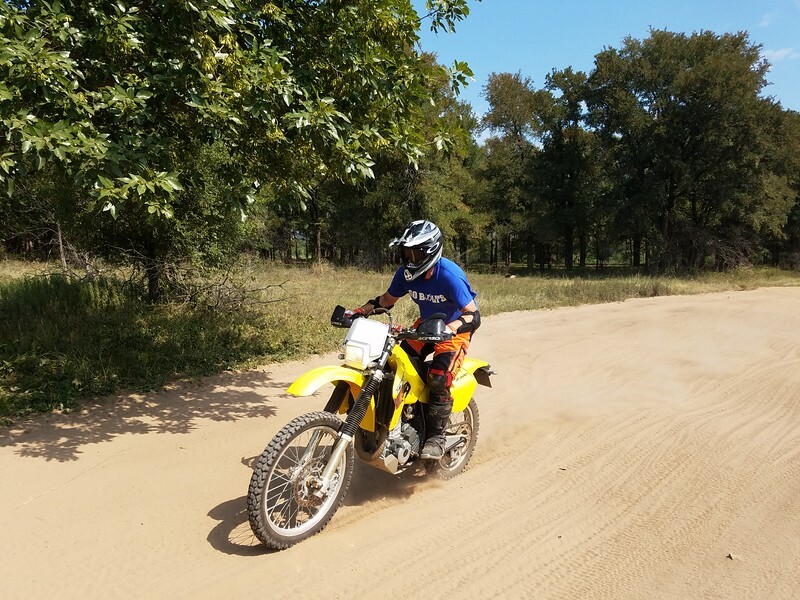 We hadn't been riding since spring and had planned to now expand out of the beginners area for Jakob and MJ today, but skills were rusty and the other trails proved to be difficult with the deep loose sand in all the corners, so they brushed up their skills in the beginner area and had fun. The heat of the day was on us quickly and we are looking forward to cooler temperatures. The DRZ did pretty well for a big heavy bike in the sand running dual sport tires. I nearly dumped it on multiple occasions but managed to keep upright through the day. I've got some motivation to get the KTM put back together for sure. Closing out this report with a photo that says it all. Finally, all three of us out riding together. Good times today and good times ahead. 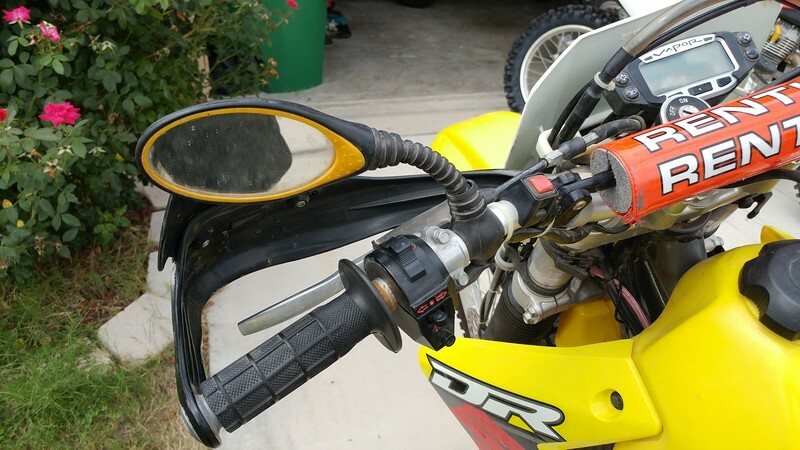 Acerbis tank installed on the DRZ.